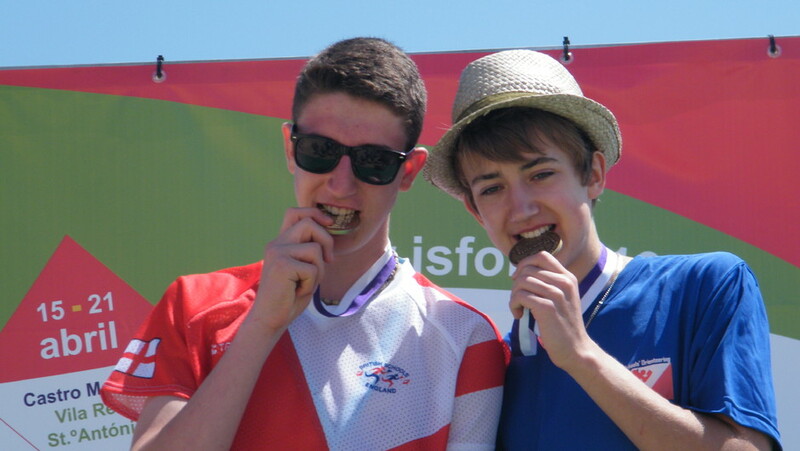 Here he is in the traditional medal winners’ pose along with Dane Blomquist of the England team. Take a look at the results and pics on the WSC2013 website – if you think it looks hot and sunny in this photo then imagine that run-in along all that loose sand. Sasha also came 6th in the Long Distance race and teamed up with Jens Van Lommel of Belgium/Flemish team and Xiaojia Ou of China to come 35th out of 148 in the Friendship Relay. I guess a handover is the same whatever language you speak but must have been interesting trying to discuss routes afterwards?